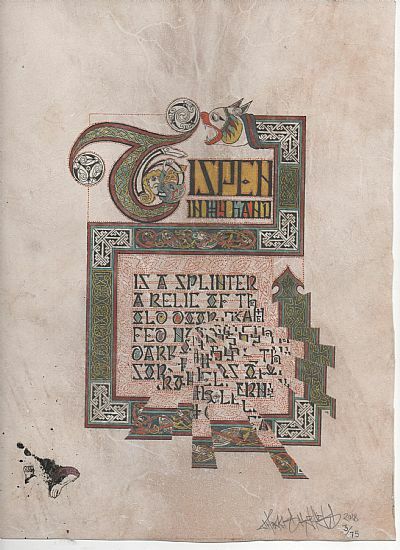 My work sits in the space created by two letter writing traditions that washed up on the shores of Ireland 1500 years apart yet share much in form, content and cultural application. 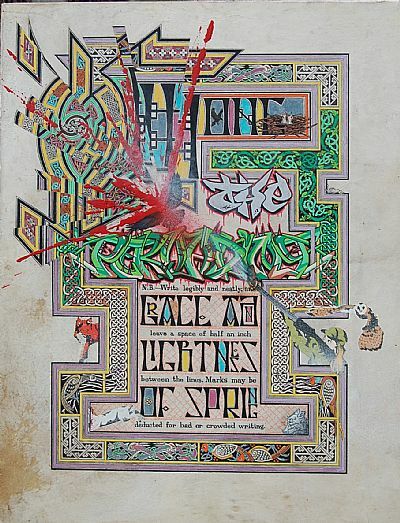 The graffiti culture that spread from the New York Transit System and took root in Belfast in 1983 and the book culture that arrived sometime in the 5th century with Romano British missionaries and went on to facilitate the greatest feat of calligraphy ever achieved with the Book of Kells in the 8th century. As a trained and active graffiti writer from the age of 12 I have been brought up within the cultural practices of one of these traditions and now as a self taught Insular manuscript illuminator I produce all the parchment and pigments I need from my surroundings in order to engage with the ancient tradition of the Insular Monastic scribe using many processes that have changed little over thousands of years. The cultural epoch that these two calligraphic bookends span has formed the modern literate mind which for most of us is our only tool with which to engage the world. 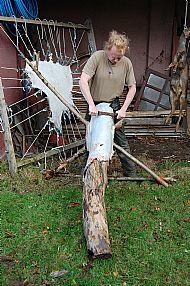 By remaining rooted within these traditions while engaging with themes both contemporary and ancient I aim to gain new perspectives on the seemingly benign yet revolutionary matrix that binds our culture, the alphabet and it’s evolving applications.